Here’s a slow cooker recipe I tried out on my family on one of our nights of kid-sport’s activities. Ribs are my son’s favorite, so I knew he’d be super happy with this one. The sauce is a little sweet because of the apple butter- completely appealing to the kiddos. And if you use Sweet Baby Ray’s BBQ Sauce, well… everyone loves that one, right? It’s our favorite. You’ll need to plan ahead : marinating the ribs in their spices overnight. 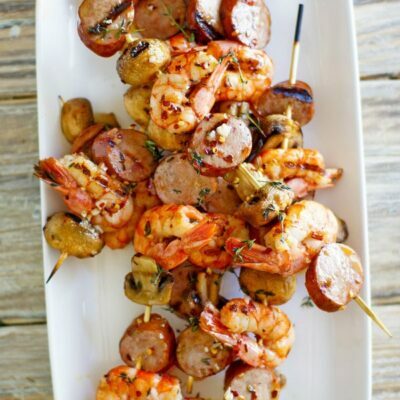 Then just pop them into your slow cooker in the morning! 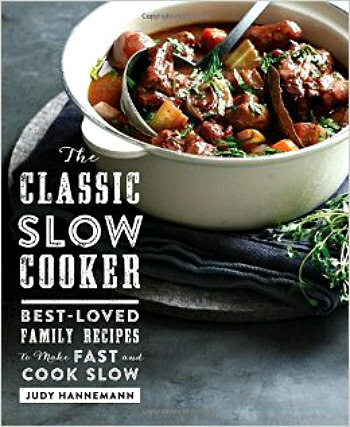 This recipe comes from a new book called, The Classic Slow Cooker- Best-Loved Family Recipes to Make Fast and Cook Slow by Judy Hannemann (BakeatMidnight.com). I’m always drawn to a slow cooker cookbook because I have a desire to find as many easy slow cooker recipes as possible to feed my family. The slow cooker makes dinner easy on busy days- and I have a lot of those! Here are some recipes in the book that I have bookmarked to try: Hot Jalapeno and Chile Popper Dip, Cheeseburger Soup, Chicken with Creamy Mushroom Rice, Pork Chop Stroganoff, Ginger Beef with Mandarin Oranges, Five Cheese Lasagna, Cheesy Hashbrown Casserole, Donut Bread Pudding and Slow Cooker Brownies. 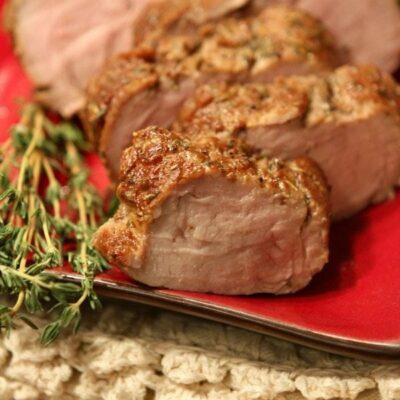 A good slow cooker recipe is a KEEPER. This is a good book to have in your collection! After the ribs are slow cooked with a small amount of spices, the sauce (BBQ sauce + apple butter) is added in… and extra sauce is warmed to serve on top too. 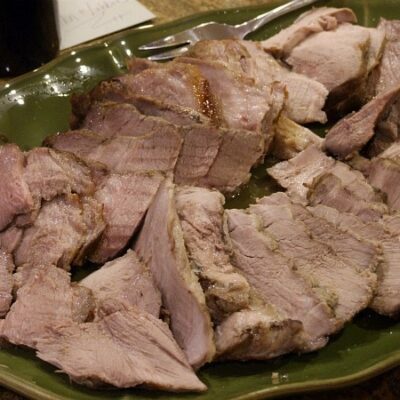 I’m happy to have found another “keeper” slow cooker recipe! Prepare the ribs by removing the thin membrane (silver skin) covering the bone- this prevents the ribs from curling as they cook. In a small bowl, combine the rub ingredients. Rub all sides of the ribs with rub mixture. 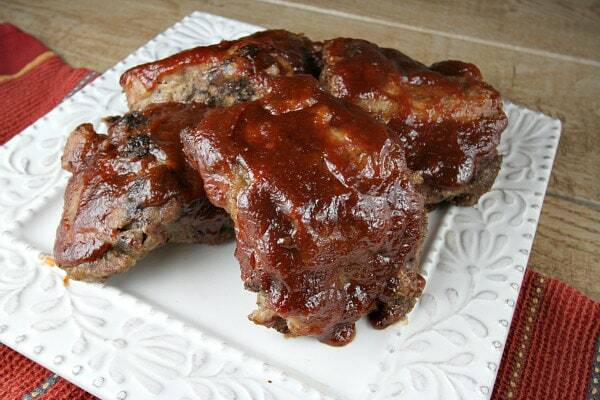 Place the ribs in a large plastic zip bag and refrigerate overnight. In a small bowl, combine the barbecue sauce and apple butter; set aside. Cut the ribs into 2-rib portions to fit inside the slow cooker. Cover and cook on high 3 to 5 hours (or until ribs are 170 degrees). 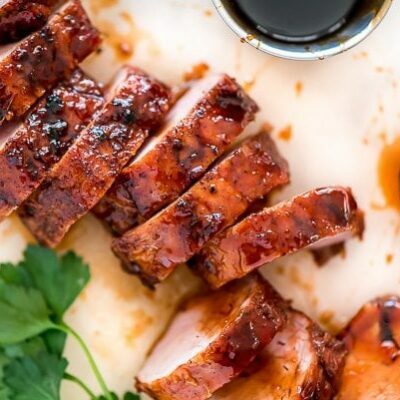 Remove the ribs from the slow cooker and drain off any liquid. Wipe the slow cooker dry. Place the ribs back into the slow cooker. Pour about 1/2 cup of the sauce over the ribs. Cover and cook on high about 30 minutes or until glazed. Serve with remaining sauce (warmed), as desired. I haven’t always been successful in making ribs but my family loved this recipe and liked the fact it had applebutter in it. Now they’re making it for their families and friends. Thank you so much! This looks delicious! Judith is so great at slow cooker recipes. I wouldn’t have thought to use apple butter this way! 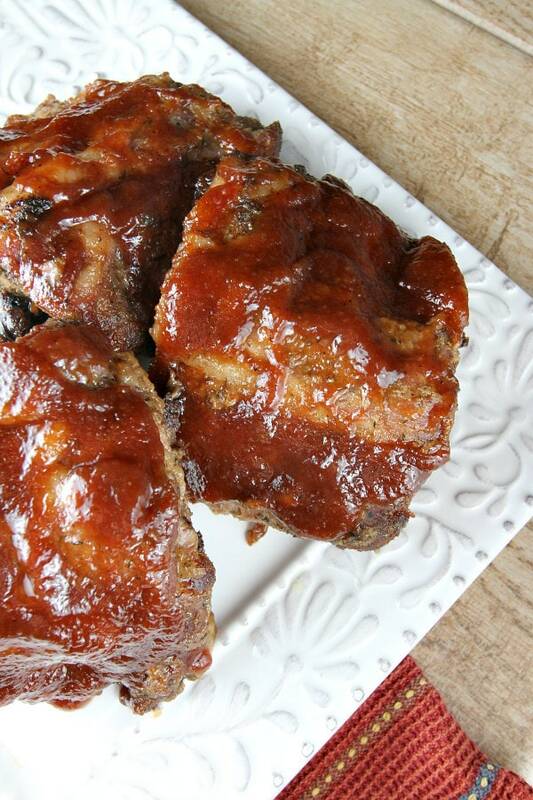 Thanks for sharing the recipe and for mentioning my ribs. This looks positively delicious! I like that it can be made in advance in a crock pot. Yum! Love the idea of adding apple butter – sounds delicious! 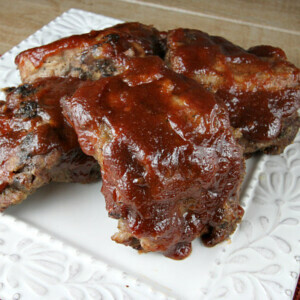 Thanks for including a link to my Slow Cooker Tropical Ribs.